Testing, testing, one… two… 112! On average, children in the United States take 112 mandated standardized tests between pre-kindergarten classes and twelfth grade. Now compare that with the number of standardized tests students in other high achieving countries (i.e. those who outperform the United States on international assessments) take: just 3! The survey by Council of the Great City Schools gathered this and other data by surveying 66 urban school districts across the United States over the most recent academic year. The survey also found no correlation between the number of tests given in a certain school district and the reading and math scores of its students on the federal assessment test given every two years that is the consistent measure of student achievement from state to state. In light of this new information and after hearing from parents who worry about too much testing and teachers who feel that they have lost their love and passion for teaching as a result of being pressured to make their students achieve high test scores, the Obama administration is creating a plan to reduce the amount of testing in schools. In a Facebook post announcing his concern and his administration’s updated approach on testing, President Obama unveiled a three point plan that included only taking tests that are “worth taking,” should “enhance teaching and learning,” and should comprise only one component of assessing the educational environment and what is being learned. While the President confirms that some testing is still necessary to determine how a school and its students are performing, most students, their parents, and teachers will likely welcome this news. 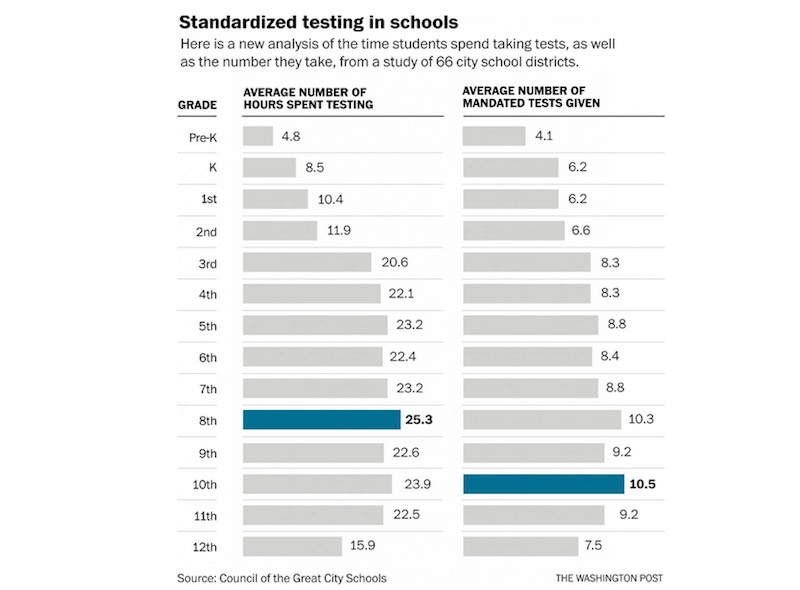 With eighth and tenth graders having, on average, more than ten standardized tests a year, and even pre-kindergarteners being subjected to an average of four, there’s definitely room to reduce the amount of time and energy spent preparing for, taking, and administering these tests. Obama’s statement comes in conjunction with a newly released “action plan” by the U.S. Department of Education to reduce low-quality and unnecessary testing and to limit test-taking time to no more than 2% of classroom time. Obama said that what he remembered most about his favorite teachers was not how they prepared him for a test. He says of the teachers who made an impact on him, “What I remember is the way they taught me to believe in myself, to be curious about the world, to take charge of my own learning so that I could reach my full potential.” For teachers today, it’s hard to have time to do those things when being held to test results, not to mention the fact that many are leading classrooms that are also dealing with a lack of opportunity for physical activity, excessive homework, and a number of other stressful and complicated societal problems. The President also offered, “Learning is about so much more than filling in the right bubble.” We couldn’t agree more. Testing, testing, one... two... 112! 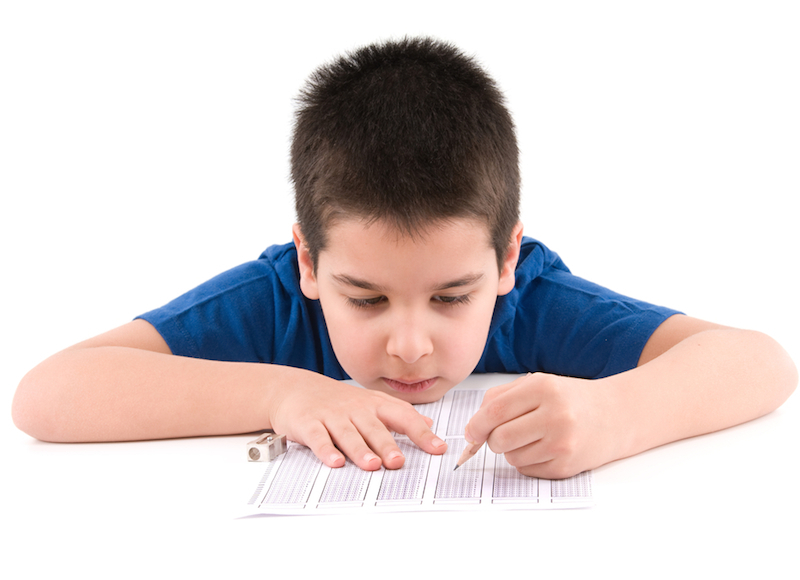 On average, children in the United States�take 112 mandated standardized tests between pre-kindergarten classes and twelfth grade.�Now compare that with the number of standardized tests students in other high achieving countries (i.e. those who outperform the United States on international assessments) take: just 3! The�survey by Council of the Great City Schools gathered this and other data by surveying 66 urban school districts across the United States over the most recent academic year. The survey also found no correlation between the number of tests given in a certain school district and the reading and math scores�of its students on the federal assessment test given every two years that is the consistent measure of student achievement from state to state.